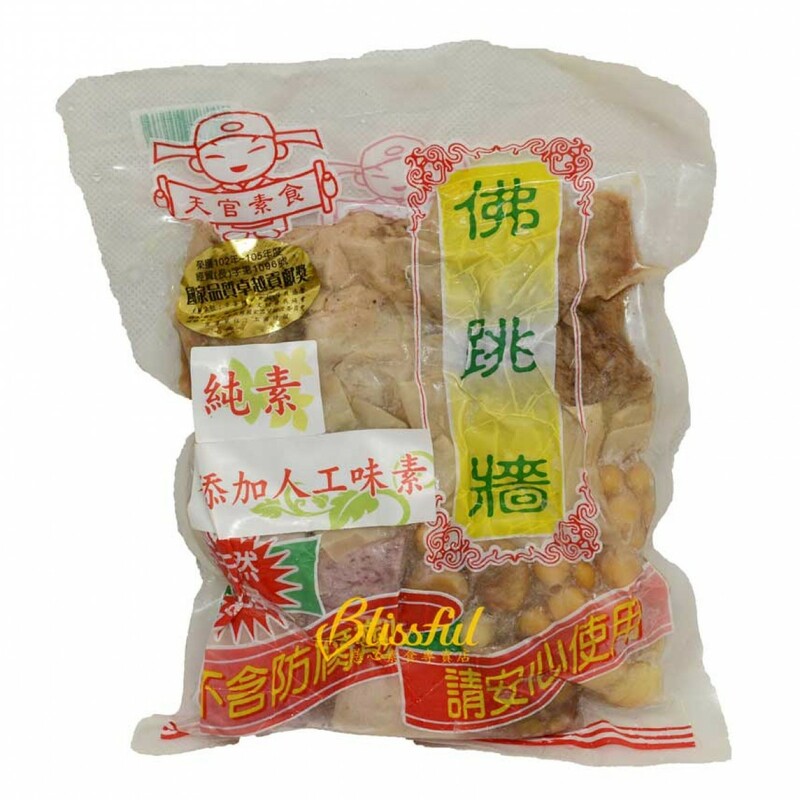 Ingrident: premium lotus seeds, bamboo shoot slice, vegetarian Cordyceps, bamboo Sheng, spiced faux meat, thickend soup with mushrooms and faux meat, Hericium, veggie ribs. Cooking Method: stir fry the cabbage till it cooked, add Fo Tiao Chiang Soup and add 5-8 bowls of water. Boil till everything cooked.